The world’s leading GPS manufacturer, Garmin has announced its unexpected entry into the mobile phone market with the sleek, slim and elegant all-in-one touchscreen device – nuvifone, which combines the functions of premium phone, mobile web-browser and cutting-edge personal navigator. 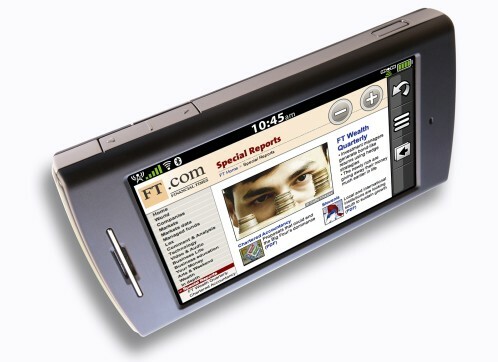 “We believe the Nuvifone will change the way people view converged devices in the future,” added by Pemble. The new Garmin nuvifone is expected to be available in the third quarter of 2008 but no words on its price yet.